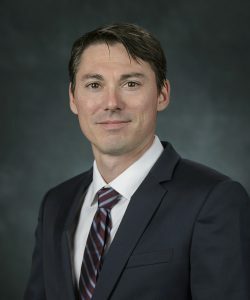 Associate Director of the Program in Air and Space Law at the University of Mississippi School of Law Charles Stotler moderated a panel on ‘The Outer Space Governance Framework” as part of a UNIDIR Space Security Workshop held at the United Nations in New York in January. The workshop served as a primer for an informal consultative meeting of UN delegates convened to share their views on the work of a Group of Governmental Experts on the Prevention of an Arms Race in Outer Space. The informal meeting was mandated by UN General Assembly as a means for all UN member States to engage in interactive discussions on potential elements of a legal instrument addressing the prevention of an arms race in outer space and the prevention of the placement of weapons in outer space. The panel featured Jessica West, program officer with project plowshares and Daniel Porras, space security fellow with UNIDIR. The panelists were joined by Laura Grego, senior scientist for the Global Security Program of the Union of Concerned Scientists. 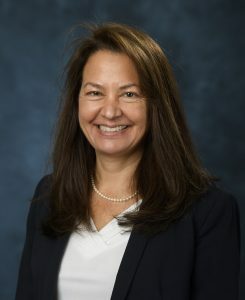 Michelle Hanlon, associate director for the National Center for Remote Sensing, Air and Space Law, and instructor at the UM School of Law, addressed the UN Committee on the Peaceful Uses of Outer Space on Feb. 14 in Vienna. Hanlon is also the co-founder of the For All Moonkind, a nonprofit dedicated to preserving human heritage in outer space. Hanlon appeared on NPR’s Morning Edition Feb. 21 to discuss the protection of human heritage in outer space. OXFORD, Miss – Stacey Lantagne may specialize in the laws surrounding intellectual property, copyright and trademarks, but she also has her own literary creations. Lantagne, an assistant professor at the University of Mississippi School of Law, is also a fiction writer. Her latest novel, “A Dog Called Jack,” was released in January. 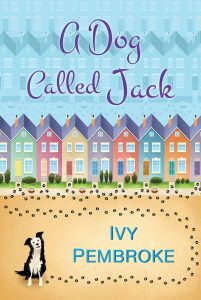 The heartwarming story follows Jack, an abandoned dog who finds a home among the residents of Christmas Street. He saunters up and down the street, receiving gifts of toys and treats for his friendliness. Through his warm heart, he ends up helping the people of Christmas Street more than they could ever imagine, bringing much-needed happiness, joy and sense of community. The publishers provided the central idea of the book to Lantagne, but it was up to her to create the world and build the story. Lantagne said she gravitates toward writing about people in search of happiness, and the Christmas Street characters were conceived by how they were trying to achieve their own individual happiness. “Once I have a clear idea of who the characters are, honestly, the book just writes itself,” Lantange said. This is first book of a trilogy. The sequel, “A Wedding on Christmas Street,” is already available in the UK, while the third book is in editing. The author on the book jacket is Ivy Pembroke, but Pembroke and Lantagne are one and the same. Lantagne adopted the pseudonym for her fiction writing. She has previously written a young adult series, “Otherworld,” under the name Skylar Dorset that consisted of two novels and two novellas. Although law is her profession, fiction has been a passion of Lantagne’s since she typed up her very first story at age 6. Lantagne will sign copies of “A Dog Called Jack” at Off Square Books in Oxford starting at 5:30 p.m. March 19. For more information about the book, visit Kensington Publishing’s website.